Inside: In the mind of a preschooler, toys are everything. With good reason! Preschoolers learn, grow, and explore through play. The best kind of play involves toys that allow kids to stretch their creative muscles and imagination. 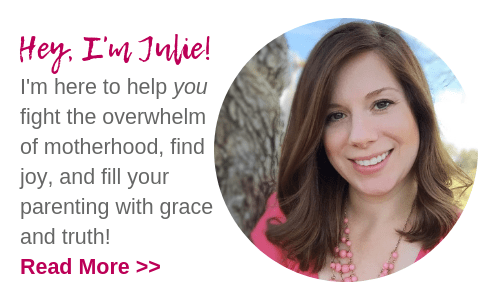 I’ve gathered my top ten best preschool toys to help you create a play environment that will explode your child’s creativity. Read on for these genius toy suggestions! Of the approximately 2,000 photos of my son from the time he was two to age four I can count on one hand the photos where he didn’t have a toy in his hand. The kid likes his toys. I remember one little green Hot Wheels truck in particular. This truck went everywhere with my son. It became a sand shovel in the the sandbox. It transformed into a house for a ladybug, a friend to talk to, and gave him a sense of security in new or stressful situations. That little truck was everything. But what’s amazing about that truck is that it really wasn’t the fanciest toy. It was beat up, scratched, and very much well-loved. It didn’t make any sounds, or have flashing lights. It didn’t do anything except roll, really. But in the hands of my little guy, that toy transformed into something special. You see, the right kind of toys have the ability to explode our child’s creativity in really amazing ways. Looking for exceptional toys that will bring out the natural creativity and imagination in your child? 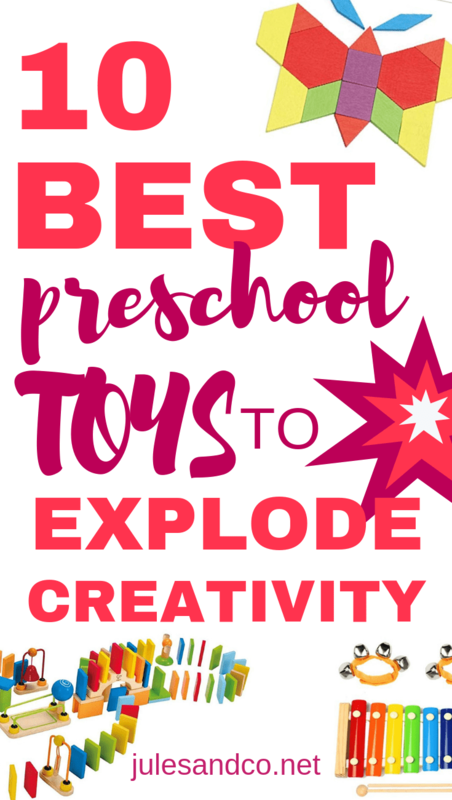 You’ll love this hand-picked list of preschool toys for more creative play! Let be honest, researchers have always had a difficult time nailing down a definition for creativity. According to J.P. Guilford, an educational researcher, creativity is fourfold:, Fluency, Flexibility, Originality, and Elaboration. Fluency: The ability to generate lots of ideas. Flexibility: The ability to generate a variety of ideas, or look at something from a different perspective. Originality: The ability to generate first-of-its-kind ideas. Elaboration: The ability to add details and bring a creative idea to completion. But what does that mean for your child’s play? What makes a great creativity-boosting preschool toy? There are good toys. And then there are great toys. When I buy toys for my children I want to make sure I’m getting the most bang for my buck. 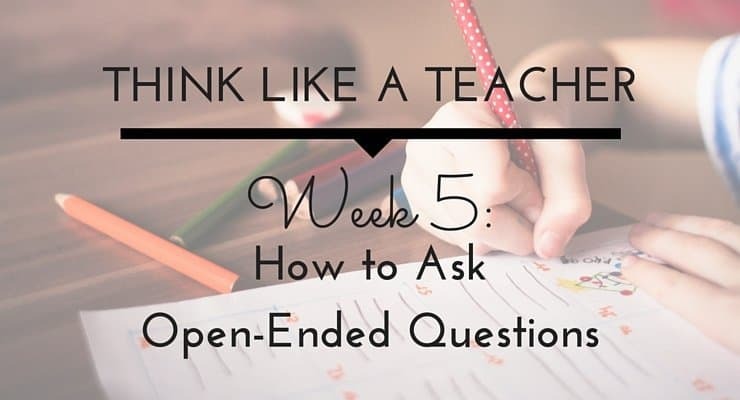 I use these simple questions to evaluate if a toy will have the kind of creativity and imagination-boosting results I’m looking for. Try these questions for yourself next time you’re scrolling through Amazon or shopping the toy aisle! Most important: Does this toy leave space for my child to do the creating and thinking? Or does the toy do all the work? Since preschoolers learn through play, they don’t segment their thinking into subjects like math, reading, or science. They just think. Their learning has an organic and holistic quality about it. Play is life. Life is play. 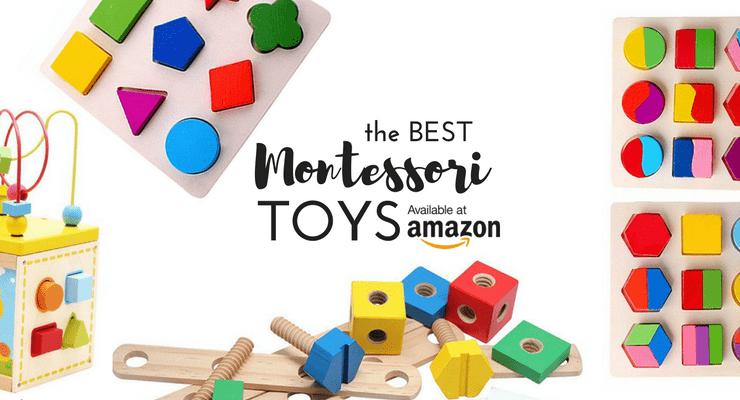 As we explore these preschool toys, I’ll give you tips on how exactly each toy will bring out creativity and spark imagination in your child. 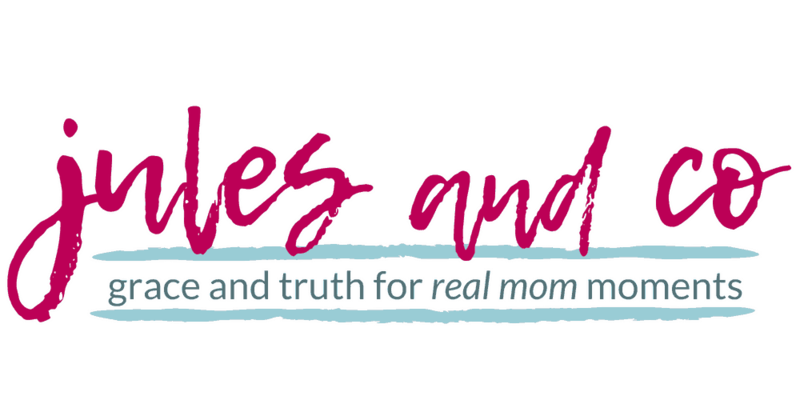 Disclaimer: This post contains affiliate links, which means that if you purchase through my link I’ll receive a small commission at no extra cost to you. Magnet blocks are staples in our house. We got our first set when my son was just under two years old. Now at almost five years old, my son still plays with them! 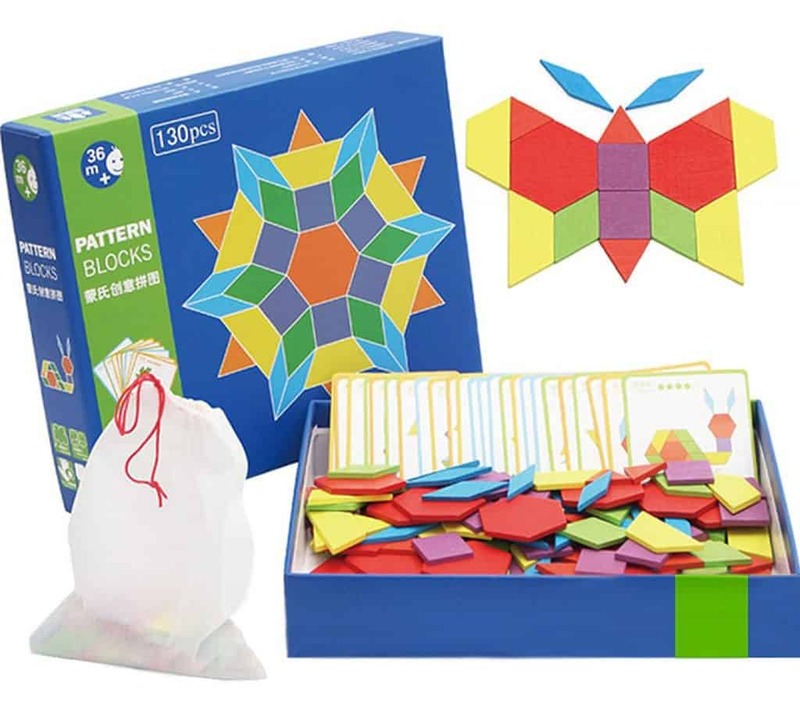 Read how I teach patterns with our magnetic tiles! SHOP>> Grab a great deal on magnet blocks! The possibilities are endless with LEGO blocks! Your child can create entire colorful worlds from his imagination. 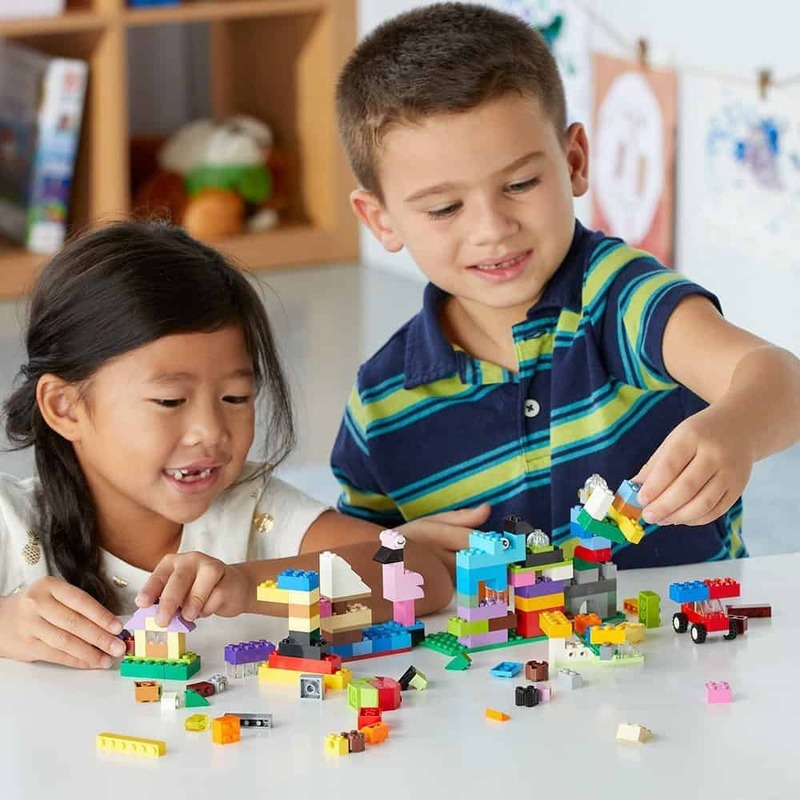 LEGOs not only encourage creativity, but also help develop fine motor skills and eye-hand coordination. SHOP>> Order LEGO kits here! 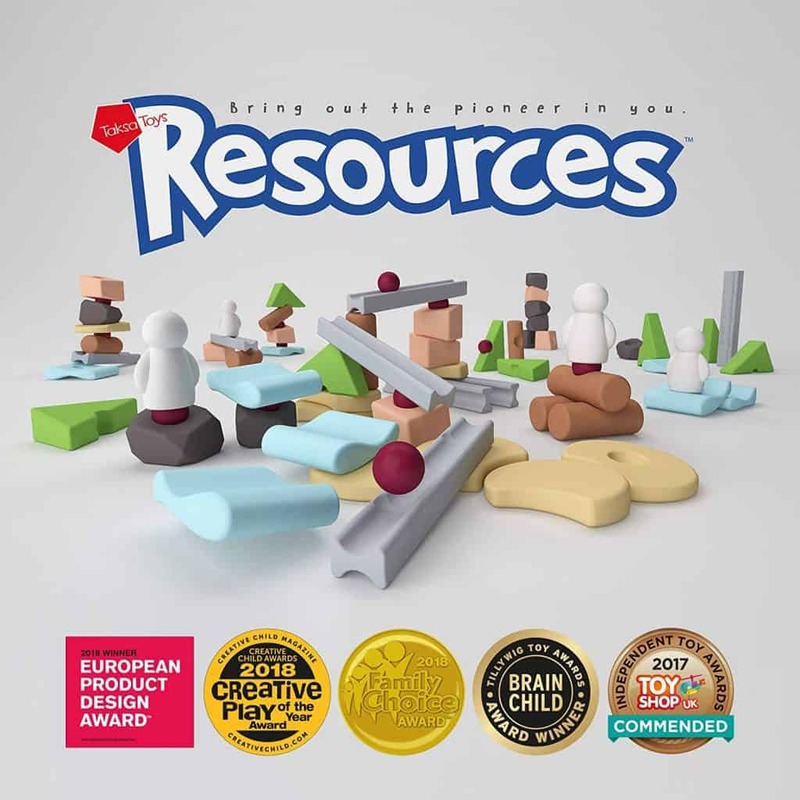 Your child can create Rube Goldberg-inspired designs with this inventive toy set! 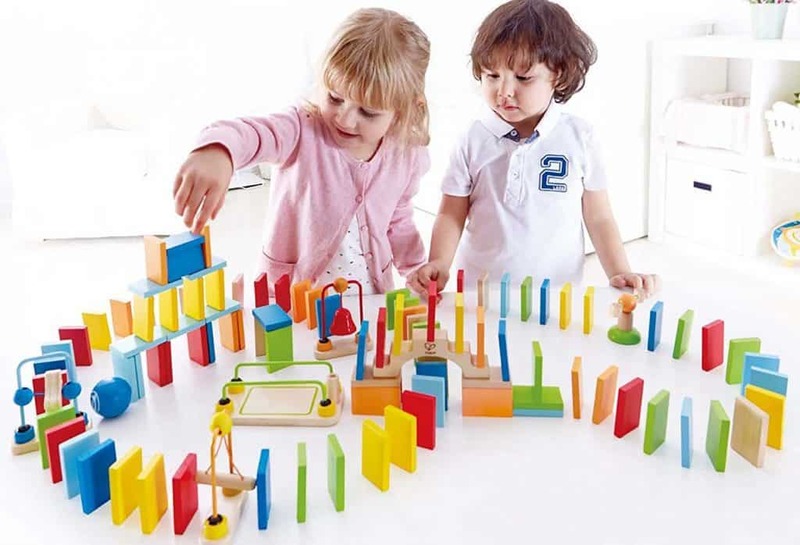 This simple toys encourages originality and flexible thinking as your preschooler creates his domino maze. SHOP>> Grab this award winning wooden domino set! Musical creativity is a wonderful outlet for preschoolers. Young children simply don’t have the inhibitions that we grow into as we get older. They dance, sing, and create music without a care as to what others may think. 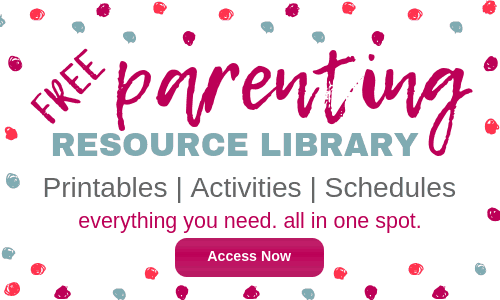 Use this to your advantage as you encourage musical creativity in your preschooler! For more guidance in encouraging musical creativity, read The Ultimate Guide to Raising Musical Kids. 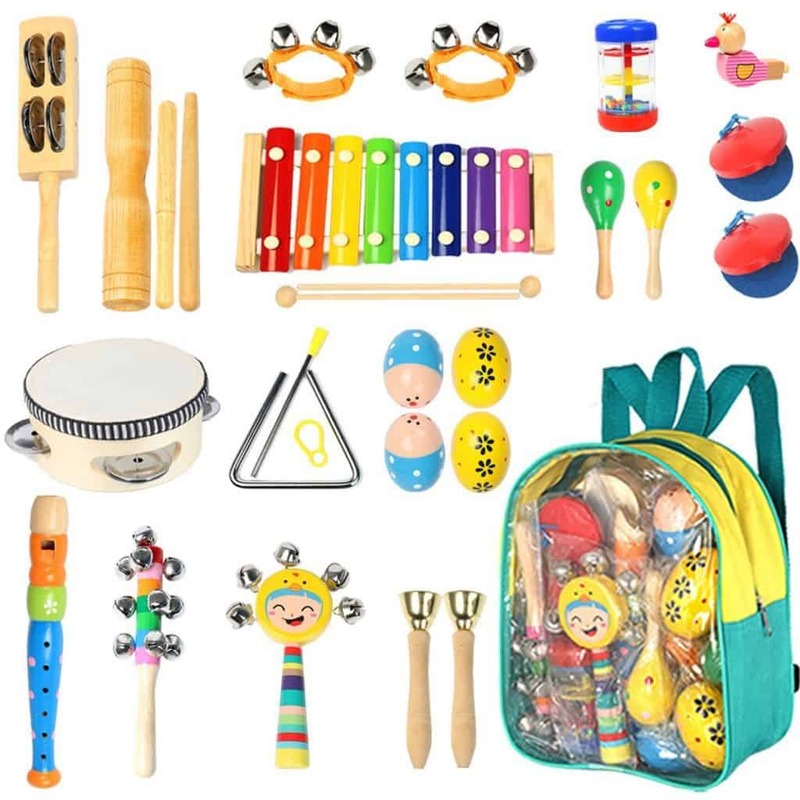 SHOP>> Get this cute and portable musical instrument set! Artistic creativity is easy to encourage in preschoolers! Most young children love to draw and paint. To bring out their best creative ideas, just limit pre-made craft kits. Instead, provide real, quality materials and a blank canvas. And watch as your child creates! Try these simple process art ideas for toddlers and preschoolers! 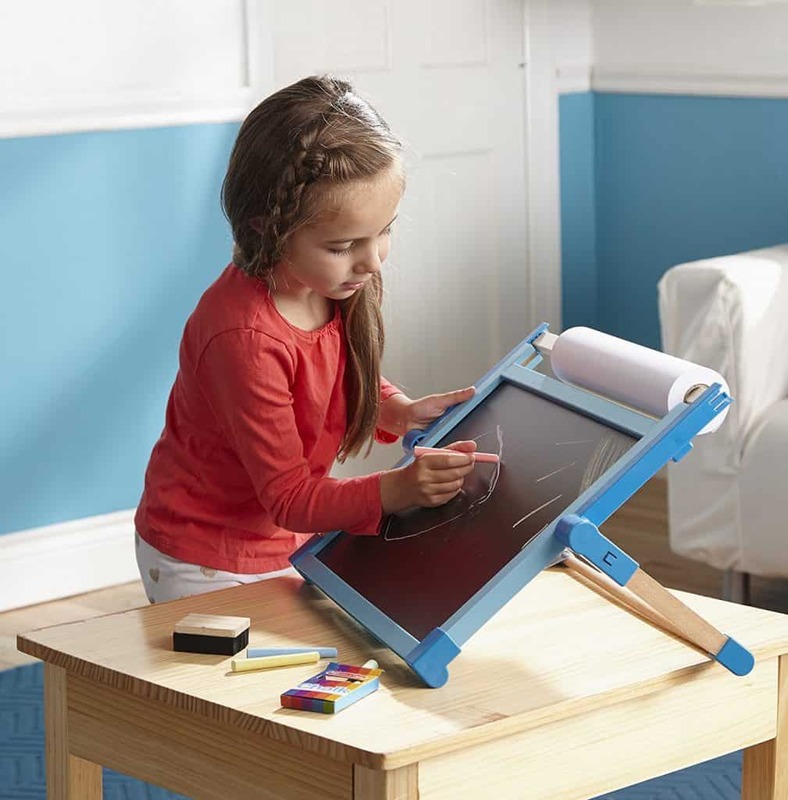 SHOP>> Shop this versatile tabletop easel for your young artist! Creative play is fueled by new ideas. I love these nature-inspired building blocks! Can you imagine the storytelling and imagination born from this innovative toy? Dolls and figurines are classic toys for a reason. 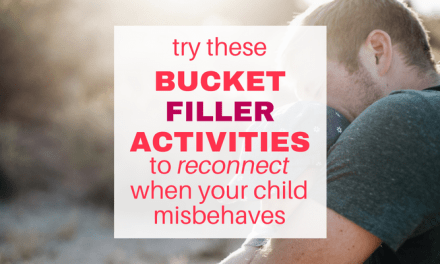 They encourage empathy and help build social skills. But did you know that playing with dolls and figurines can also build your child’s creativity? Creates a story line or plot for his character. Thinks from a different perspective, such as re-imagining a tiny baby doll as a giant baby stomping through a city. Adds details to his toy, such as making a special hat or accessory for the doll or figurine. 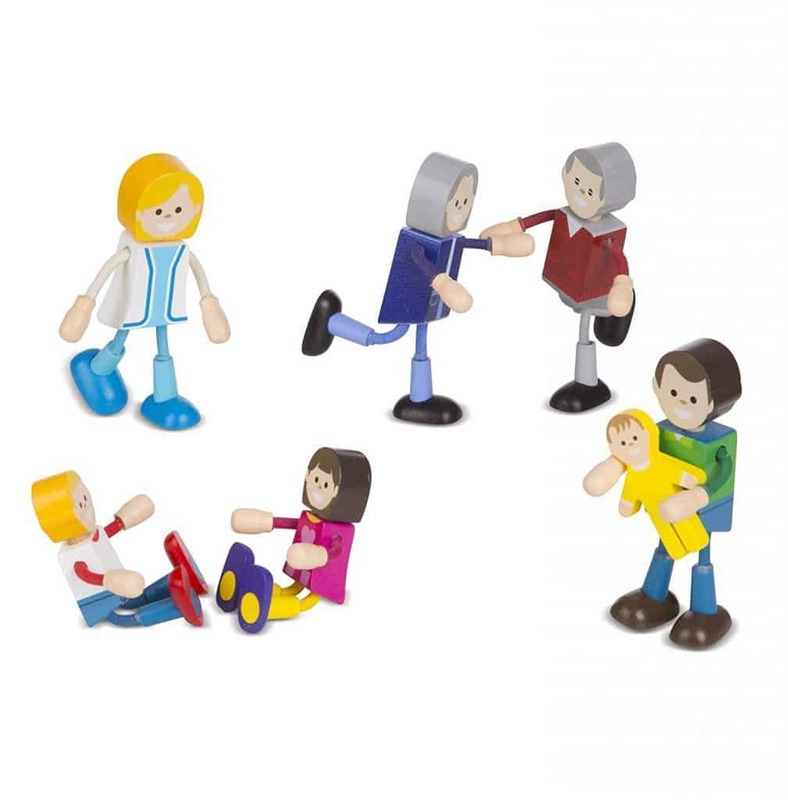 SHOP>> Try this set of flexible wooden dolls! 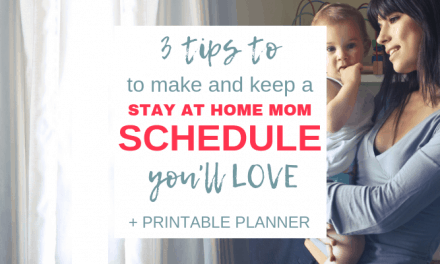 Ever notice how your child is drawn toward those random objects in your kitchen junk drawer? This genius toy takes this drive to invent to the next level! 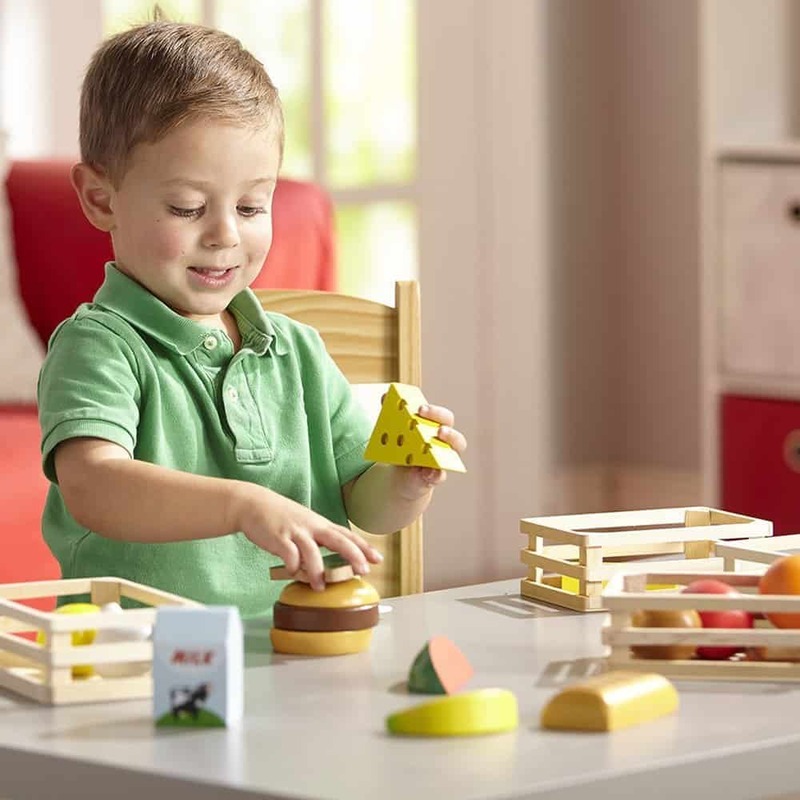 Your preschooler will love creating and inventing with this incredible toy. 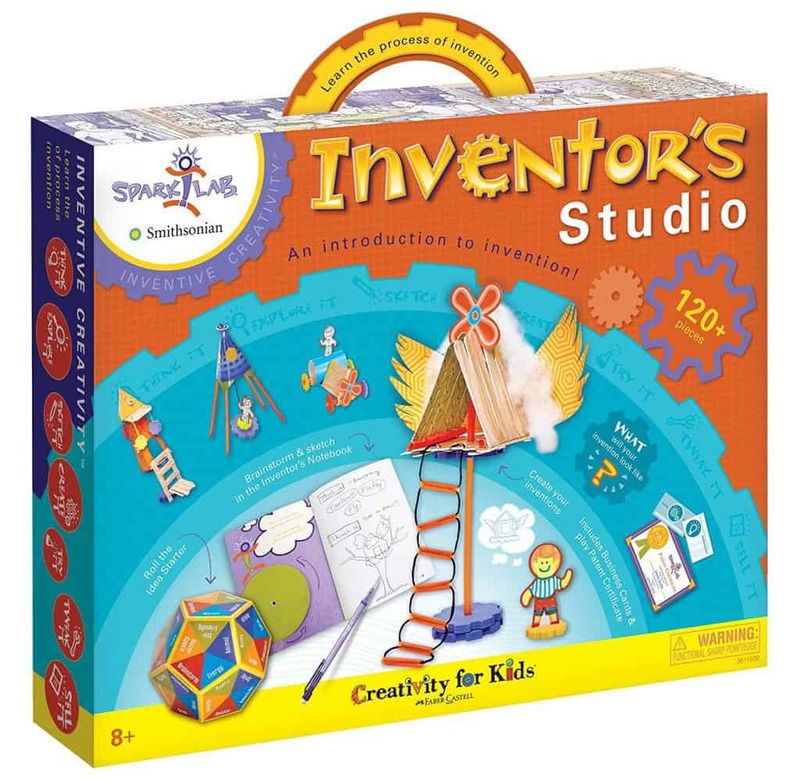 SHOP>> Try the Creativity Can or Inventor’s Studio Box! Wooden pattern blocks encourage creativity in so many ways. I love that this set offers pattern cards to get creativity flowing. And kids can craft their own designs and patterns with the blocks as well! SHOP>> Classic wooden pattern blocks for hours of creativity! Preschoolers love using their imaginations. Pretend play food is a wonderful toy that will help your child explore creative storytelling and narratives within their creative play. SHOP>> Get this hand-painted play food set. What are your favorite toys to boost creative play? 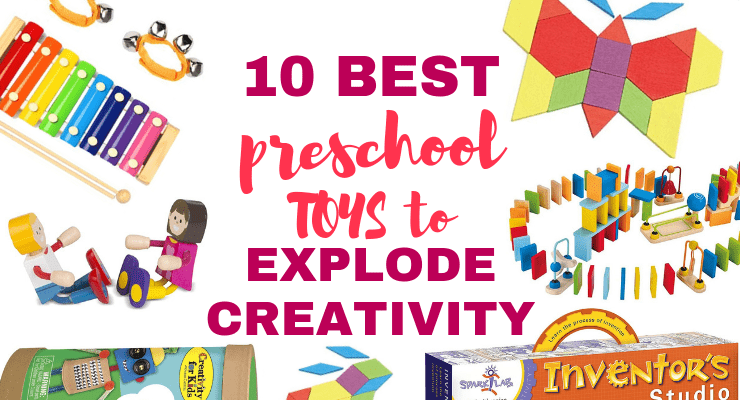 Your preschooler will love these toys to explode creativity! Just like my son’s little car, these toys aren’t fancy. They don’t make noises, flash lights, or glow. 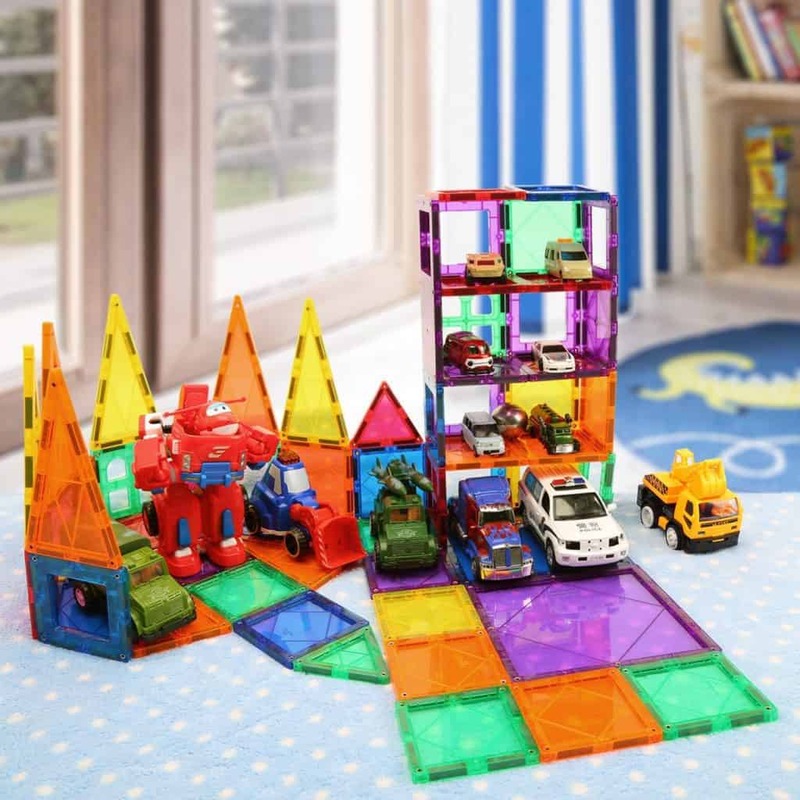 In the hand of your child, these toys will bring out endless stories, build castles and empires, and allow your child’s natural creativity to shine through. Tell us below! Which of these creative play toys for preschoolers is your favorite? Did we miss your child’s favorite toy? Share below!